I've always been excited about 3D printing, and now with how far Shapeways.com has come it makes it incredibly easy to whip up anything you want. 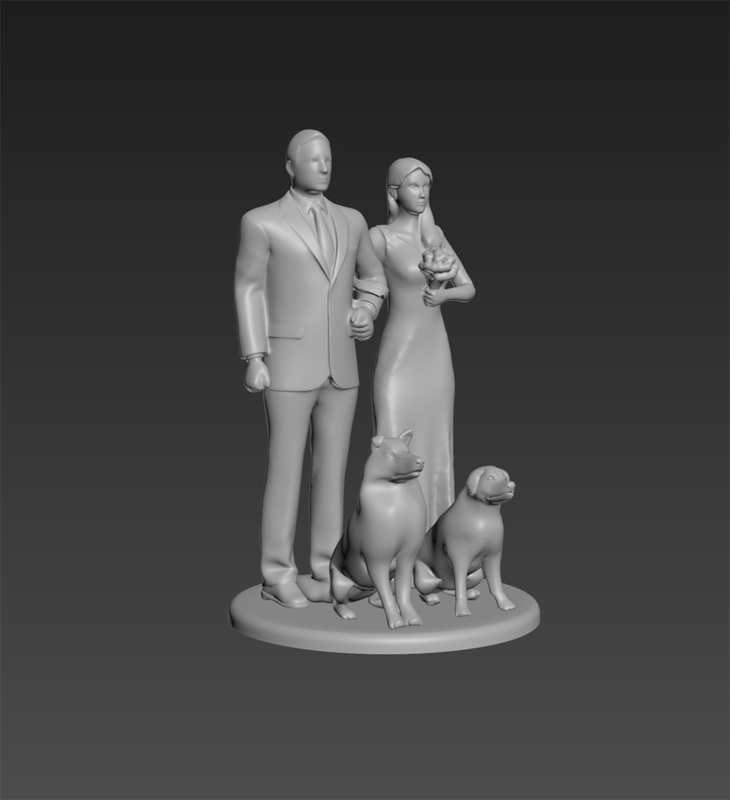 Having seen a previous project I worked on, my sister came to me during her wedding planning and asked if I'd be interested in crafting a cake topper. 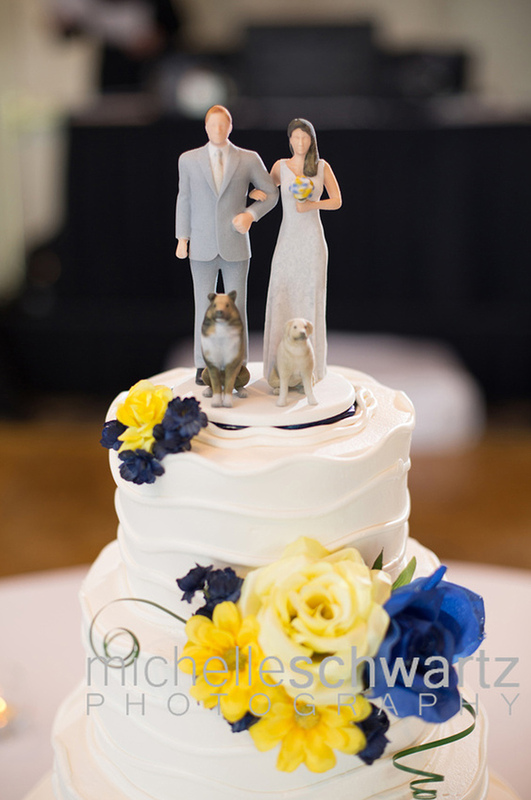 Her ideal cake topper would include personalized wardrobe and their two dogs, which offered the perfect opportunity to try printing in color. Made up of scratch-built models and also some stock 3D geometry, I meticulously customized each figure to portray them as closely as possible. The dogs were the most difficult, but including subtle quirks like floppy ears and recognizable posture went a long way to make them feel correct. After a small test print to get an idea of the level of quality & color reproduction, I sent each figure to Shapeways individually and then assembled everything together upon arrival. 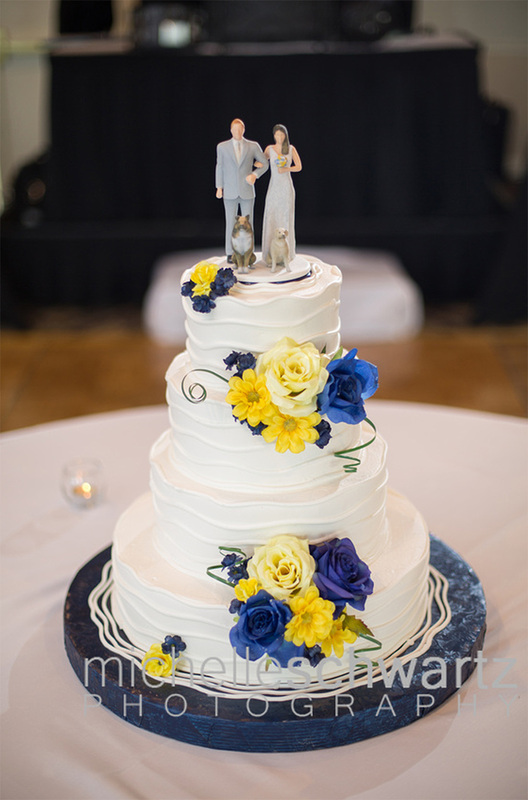 It was a huge hit at the wedding reception, and the success has opened my eyes to even more fun uses for 3D printing. My next project: action figures!